Loyal friends right there. Or maybe they don't know its their friend that they are about to eat. Bert and The Count round out the dinner party in a most disturbing manner. I laugh, and then feel bad for laughing :) Think of the scarred children. 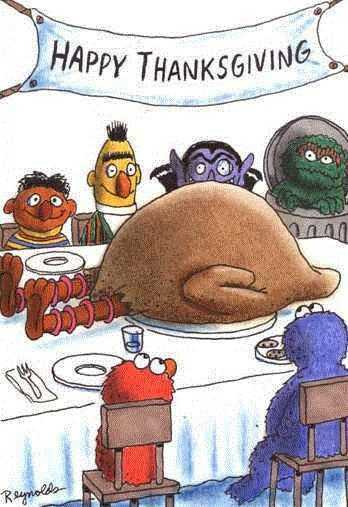 Death 2 Big Bird. (evil lagh). Yes, Die,Die,Die. Jerm has issues...maybe he has something against big bird that he would like to share with us?